Handmade cards are the perfect way to show how much you care. Because finding the right card for that special someone can often be a problem, let our cards do the talking for you. 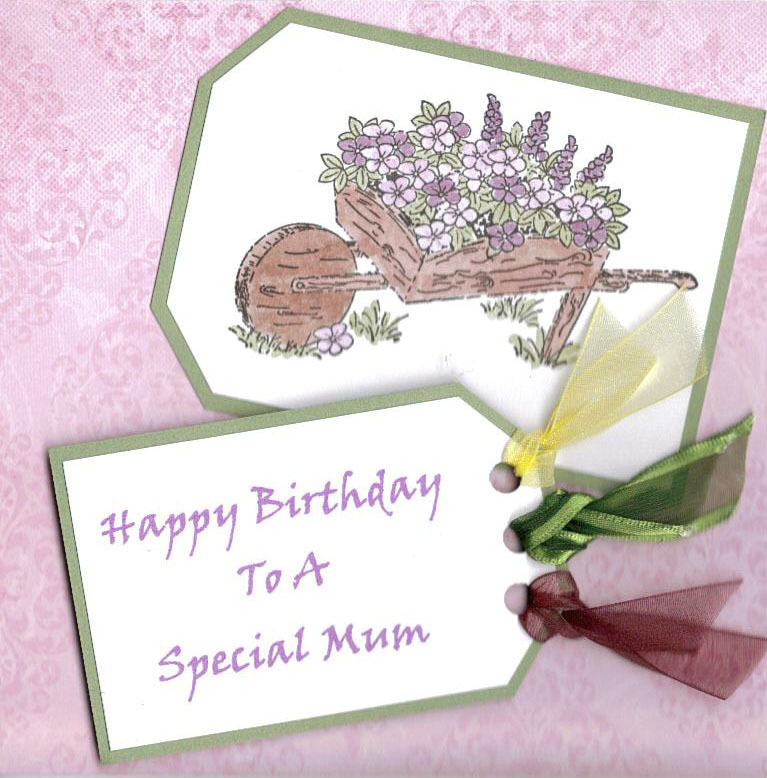 I make many different designs of cards which can be personalised with the recipient’s name, date etc. on the front to provide the perfect card. You can order beautiful cards for every occasion. Whether you need birthday cards for men, women or children I have a range of designs. Chose from one of my Engagement cards, Wedding cards, and Anniversary cards, or if you cannot find what you are looking for then please contact me and I will be happy to discuss your requirements. Change a card design to incorporate a different colour background or message to create a card that reflects the recipient. Contact me for more information if you have a special occasion and want a bespoke card. Christening cards and New Baby cards are among my most popular designs. Ensure that the card you send stands out from the crowd on the most special of occasions with one of my unique and attractive designs. All cards are blank for your own message, but can have a personalised printed insert and a quality envelope to match your design is supplied with all cards. They are packaged in a clear polybag for protection. Your order will be sent by 1st class post within 2-3 days of receipt of order unless stated. Make her day special with a handmade Women’s Card. Chose one of my one of my gorgeous designs and add your own personal message to make any occasion one to remember. 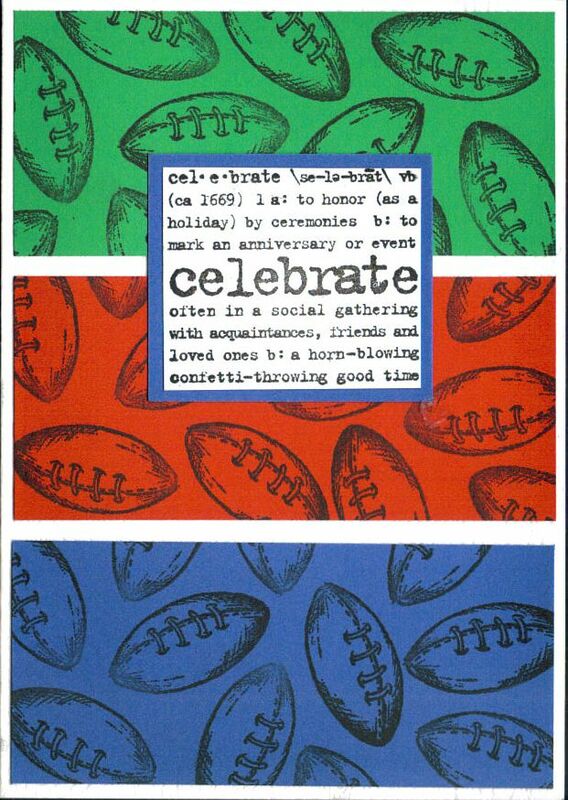 Whether he’s sporty or sedate a handmade Men’s Card will make his day special. Whatever his interest he’ll love a unique card with your own personal message. 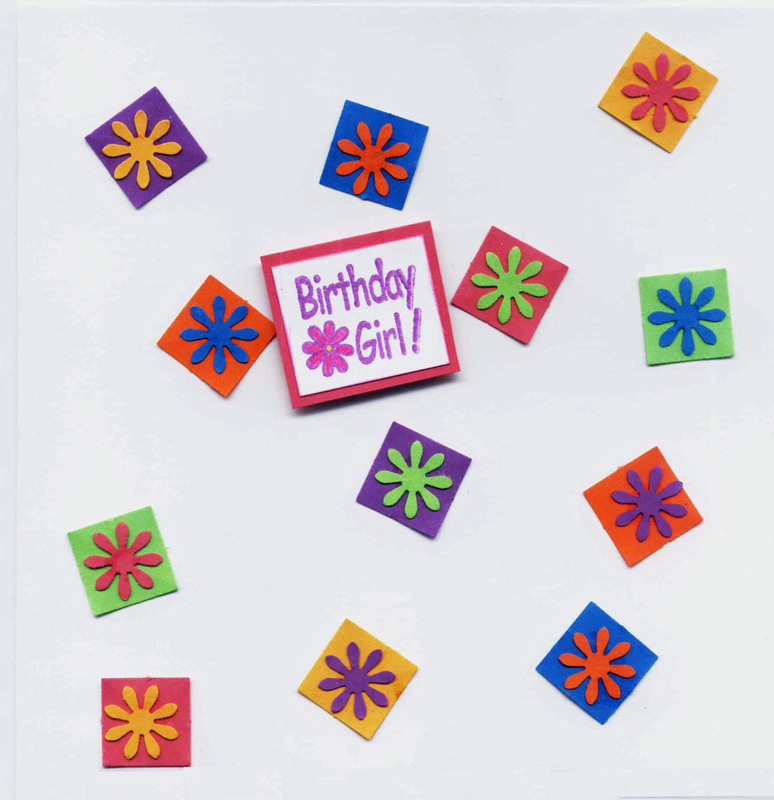 If you are looking for a Teenage Birthday Card, I have cards for all tastes and ages that are prefect to send your best birthday wishes. Boys and Girls all love a unique card to celebrate their special day. One of my most popular handmade designs. 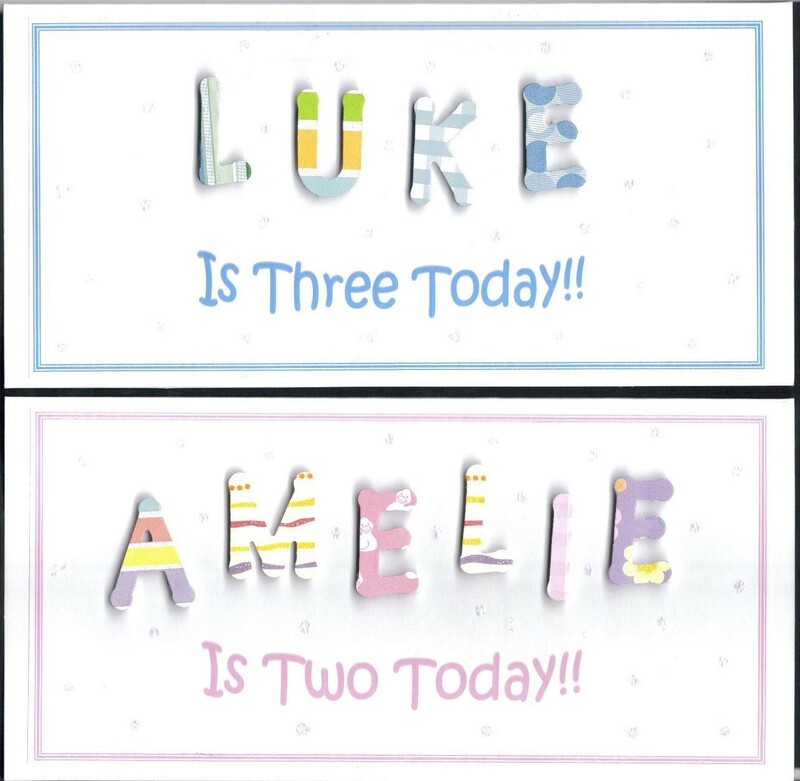 A Children’s Birthday Card with any name (up to 11 characters) in raised letters, is perfect for boys and girls all ages and is sure to be treasured. A beautiful Christening Keepsake Card. Send your warmest congratulations with a personalised Christening Card. Available in Blue or Pink for boys or girls this design truly stands out as a special memento. 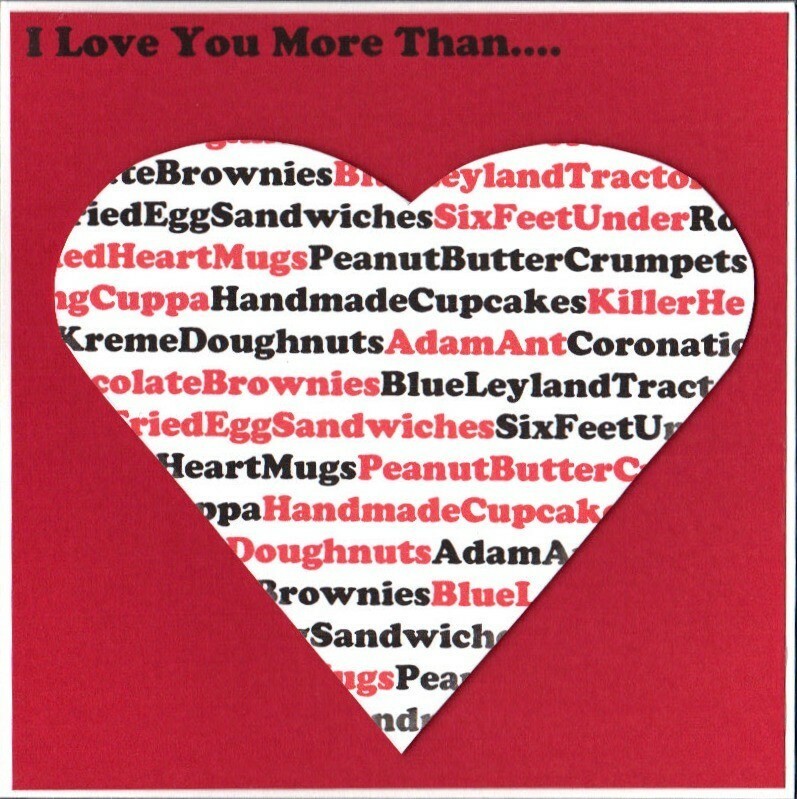 Nothing says “I love you” more than a handmade Valentine Card. Customise a design, or say it your way with your own unique message. 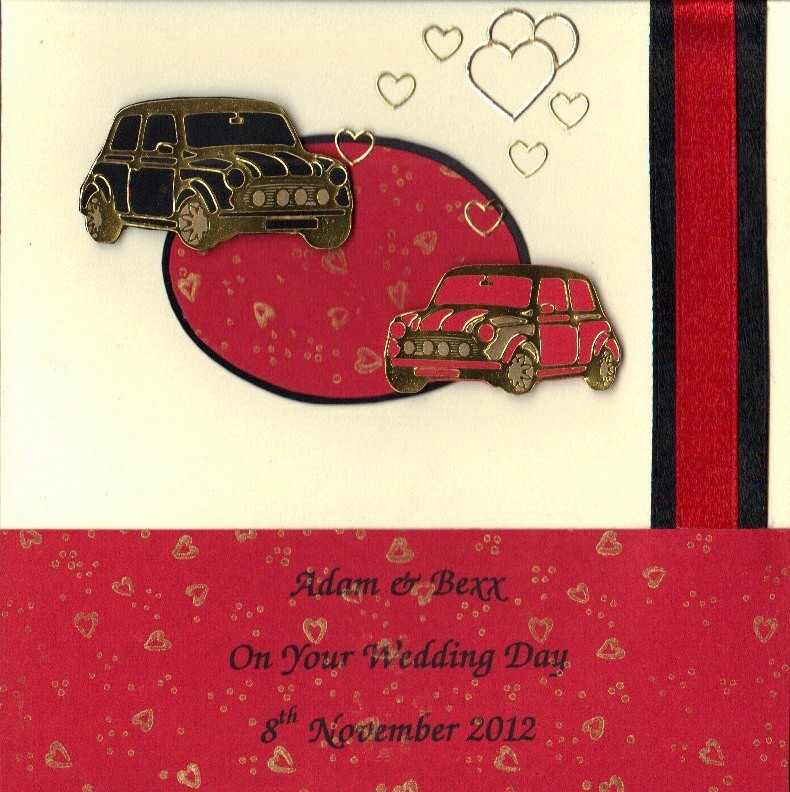 Congratulate the happy couple with a bespoke handmade Wedding Card personalised with details of their special day. This Mini car design, or any of the others, can be adapted for any occasion and is shown here as a perfect way to share the joy. A great keepsake to add to the memories of their special day. 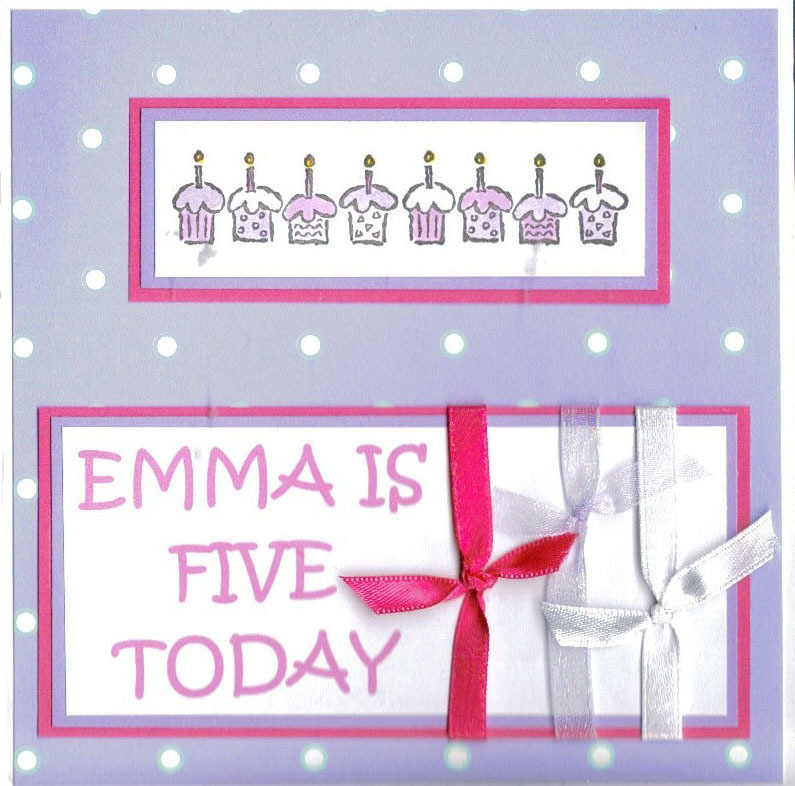 Celebrate their birthday with one of my handmade Birthday Cards personalised with details of their special day. Select and customise the designs shown, or contact me for a bespoke handmade birthday card.